The last couple of days in Seattle felt like we were in the midst of summer. Blue skies above us. Flip flop temperature. Late warm evenings when it’s still light outside. This gave me a green light to plant tomato starters on my patio. Last year, planting the tomatoes was a bit challenging. The problem? I didn’t have the right tools. I might have used an old screw driver, a butter knife and a plastic cup to do the digging. This year? Things got easier! 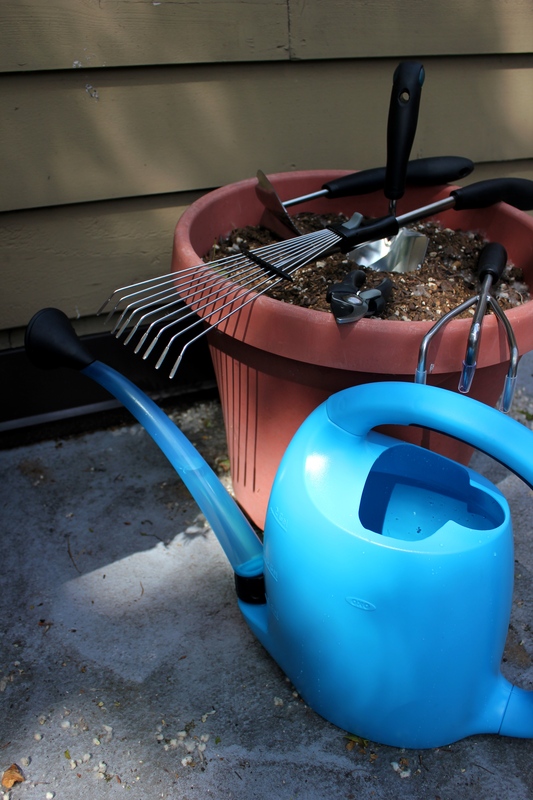 Thank you to the good folks at OXO who sent me the beautiful, durable, user-friendly Outdoor Gardening Set for testing. As a disclaimer, I got the set for free. The opinions of this post are all my own and were not paid for. I’ve had the large pots of dirt sitting out through the winter. Abandoned. 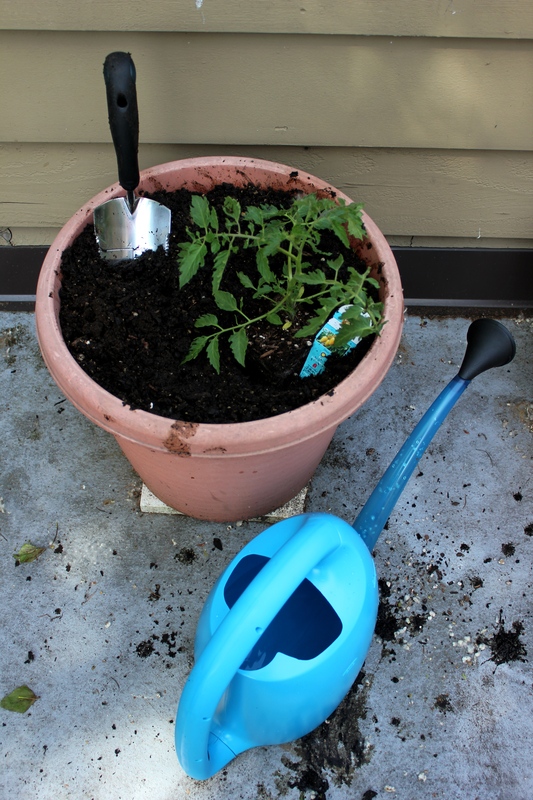 Before planting the tomato starters, I used the oxo watering can (beautiful blue color!) to give the dirt a nice soaking. Notice the spout? It actually rotates backwards and fits nicely with the body of the water can – easy storage! 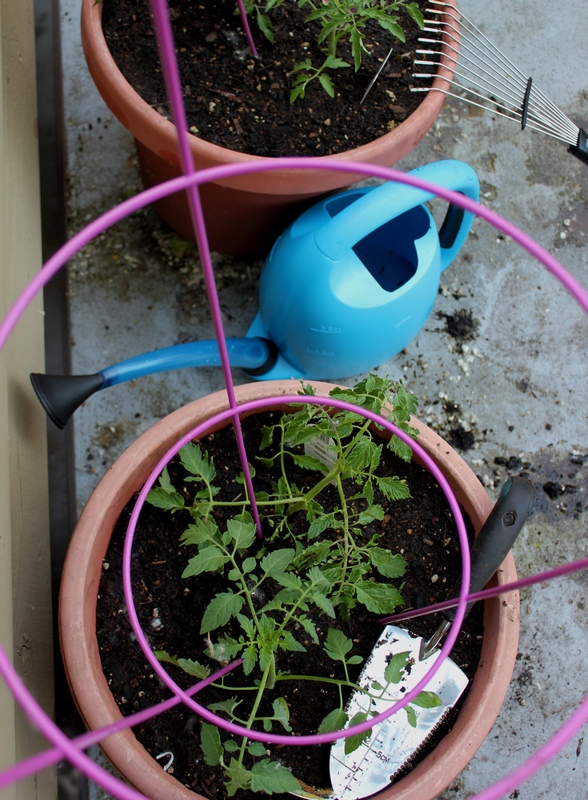 The can holds about 2 gallons of water so you don’t have to fill it up too many times before getting all your watering duties done. Next tool? Cultivator! The name is fitting of a super hero, don’t you think? 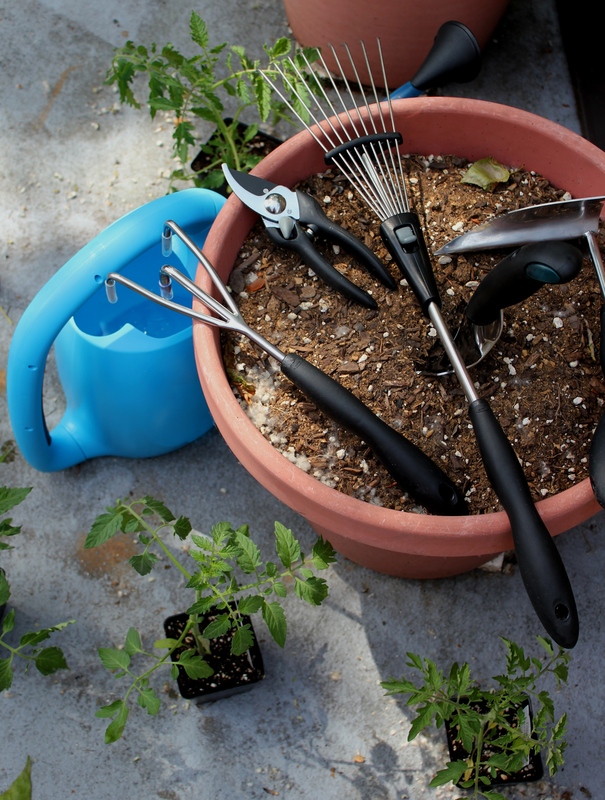 I hardly had to do anything, the tool did all the work in loosening up the soil and getting it ready for the plants. And finally, it was time to plant the little starters. 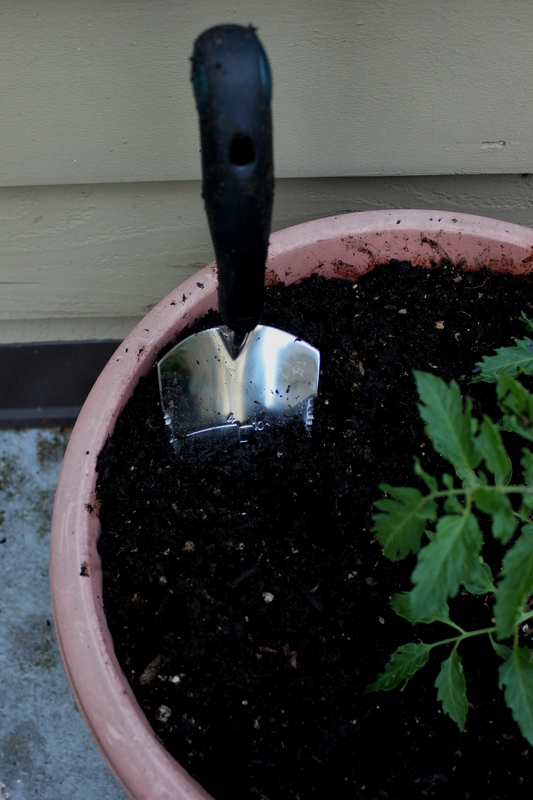 Enter the trowel. Shiny, super sturdy and easy to hold. 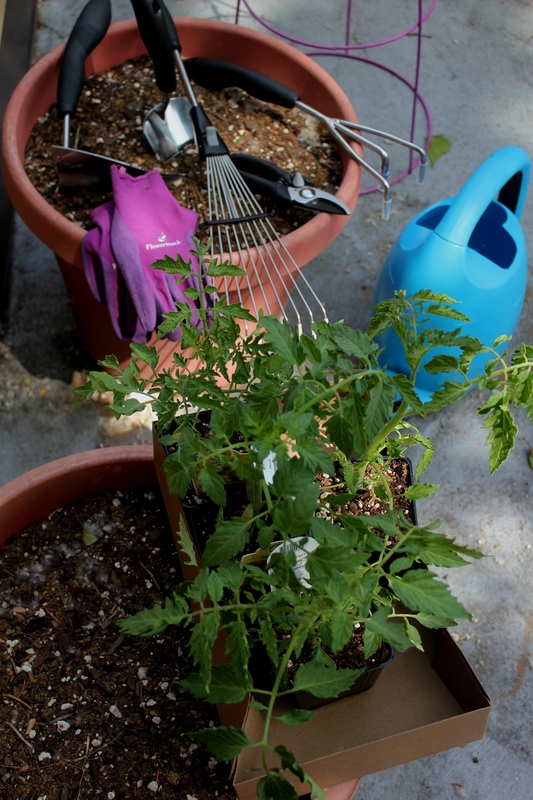 I look forward to seeing the tomatoes grow and using the OXO tools in my other gardening projects throughout the summer.